Climate change is the most complex and important issue that the world has ever to deal with. The impact that humans have had on the world has literally changed the climate. Climate change is the significant and lasting change in the distribution of weather patterns over periods ranging from decades to millions of years. It may change in average weather conditions or the distribution of weather around the average condition. Climate change is a fundamental threat to sustainable development and the fight against poverty. 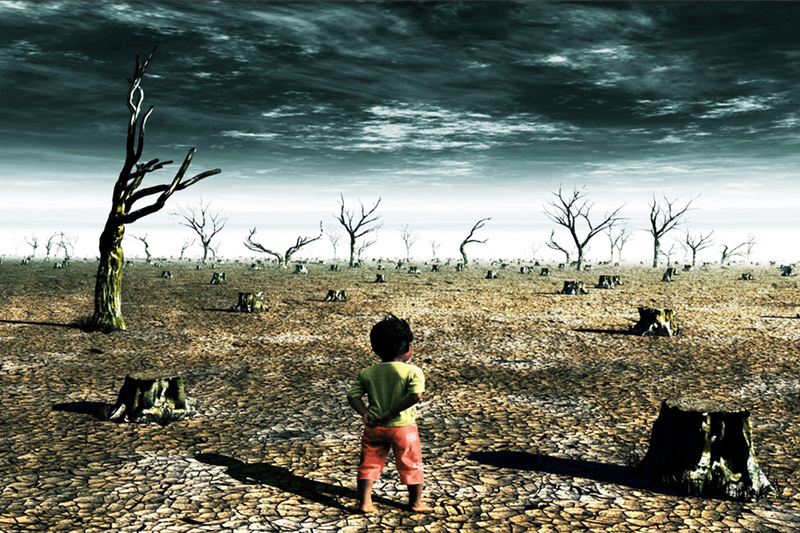 There is the adverse impact “human interference with the climate system” is having on everything from sea levels to crop yields to violent conflicts. Scientists believe that the production of carbon dioxide and greenhouse gasses are having a heating effect on the atmosphere. The cause of global climate change is said to be because carbon dioxide is being emitted through the large-scale burning of coal, oil, and gas, with an additional contribution coming from the clearing of woodlands and tropical forests which result in wildlife life destruction. The carbon dioxide traps heat from the atmosphere and prevents it from going back to space which increases the temperature of the earth. The average temperature expected to increase is 1.5 to 6.4 degree Celsius in next hundred years. Climate change has significant impacts on global temperature such as the change in weather pattern, increase in sea level, increase in temperature, melting of snow and ice, etc. Change in sea level is a huge problem worldwide. This change is due to increase in temperature and melting of snow and ice in the mountains and arctic. The temperature is rising means that the ice is melting faster and faster. Many areas of the world are experiencing increased hurricane, floods, acid rain, droughts, etc. Many islands are drowning, and the house of many people are destroyed. It is believed that due to the change in sea level, the country Maldives will be underwater in few years. The whole population of Maldives is in danger if this goes on. Climate variability and change also affects animals and bird life in some ways. Birds lay eggs earlier in the year than usual, they migrate before the migration period, mammals come out of hibernation sooner, and plants bloom earlier. Distribution of animals is also affected in many ways. Many species are moving closer to the poles as a response to the rise in global temperatures. Although it is thought that no species has yet become extinct exclusively because of climate change, many migratory and nonmigratory species are expected to become extinct shortly. We can change all this if we can change our self and our habits. We can help reduce the production of carbon dioxide by burning fewer fuels and also by planting more trees instead of cutting them down. Action has been taken to regain control over climate change. However, unless drastic turns are taken, such as severely reducing the emissions of greenhouse gasses, various risks threaten humans, as well as many animal species that are at risk of endangerment and even extinction. Previous World food and agriculture countries.